I almost called this drink Orange Dream Juice (it reminded one tester of an Orange Dreamsicle) but settled instead on Orange Surprise. What’s the surprise you ask? Well, it’s that there aren’t actually any oranges in the juice. 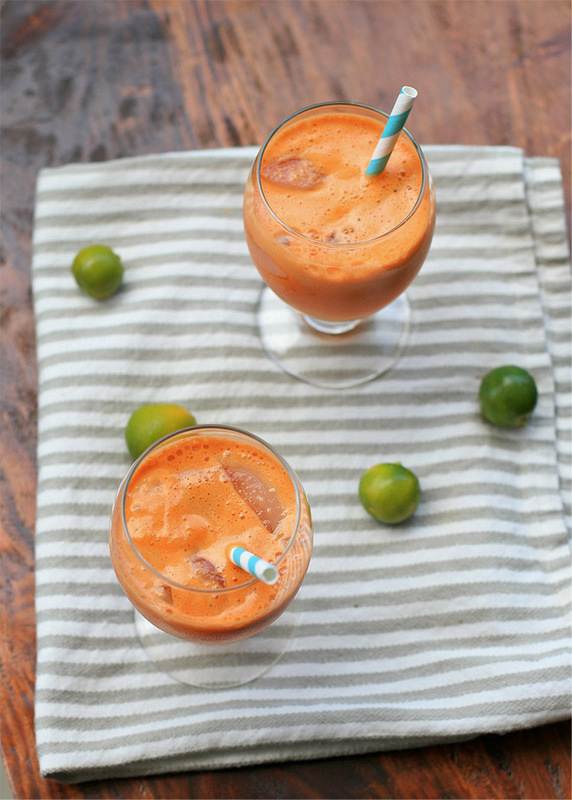 The apples provide a base that’s nice and sweet, the carrots provide the vibrant color, celery adds a hint of saltiness and the limes add a bit of pucker. Although most juicers don’t work very well with citrus (you need a separate citrus press if you want maximum yield), I’ve found that little calamansi limes work great. You don’t even need to peel them- the juice is extracted easily and you get flavor from the zest as well. This is one of the easiest juice combinations I’ve made so far and is also one of the tastiest… it’s become my standard morning treat.